Leeds United. Where to start? Once Champions League-chasers in the Premier League, their fortunes turned in spectacular fashion in 2004 when they were relegated from England’s top-flight just two years after finishing 5th in the division. To add insult to injury, Leeds entered administration in 2007 – their third season in the Championship – meaning they faced a points deduction, which would cement them rock bottom of the second tier, and send them down yet another division. Three years earlier, the Elland Road outfit’s youthful squad was competing in the semi-finals of the Champions League against Valencia – a far cry from facing the likes of Oldham, Cheltenham and Gillingham every week. Comprised of forgotten stars and uninspiring flops, this is Leeds’ classic XI. The first of four Australian-born players in the line-up, goalkeeper Milosevic spent five years at Elland Road between 1999 and 2004 without making a single first team appearance. Instead, the former Perth Glory stopper had to make do with playing understudy to the likes of Nigel Martyn and Paul Robinson, with loan spells at Wolves, Plymouth and Crewe the only reprieve during his restricted English football career. After a short spell at Celtic, Milosevic joined New Zealand Knights in 2005 ahead of the inaugural A-League season on the advice of former Perth Glory and Leeds team-mate Danny Hay. The Knights finished bottom of the league, winning only one game, with Milosevic valiantly conceding the majority of the 47 goals they let in – almost twice the total of the next leakiest defence in the league. Now still only 33, the Australian has been without a club for four years. An understated, competent full back who spent 11 years in English football, Halle signed for Leeds in December 1996 for £400,000 after making over 200 appearances for then-bit-part Premier League side Oldham Athletic. The Norwegian was a fixture in his country’s national side for over 10 years, earning 64 caps and scoring five times – three of which came in a 10-0 rout over San Marino in 1992. Described on leedsfans.org.uk as an “infuriating player to watch” because of his inconsistency, Halle went on to make over 80 appearances in three years at Elland Road, before leaving the club in 1999 for local rivals Bradford. After a short spell at Wolves, he finished his career with Lillestrom in his native Norway in 2003, aged 38. Since retiring, he has occupied several coaching positions back in his homeland, the most recent of which – as assistant manager at Molde – came to an end last year. After spending all but two years of his 11-year career playing in his native Sweden, Teddy Lucic arrived at Elland Road in 2002, on the back of appearing in his country’s World Cup campaign that summer, in which he faced England – a game which ended, disappointingly for English fans, 1-1. Lucic’s Leeds career turned out to be equally disappointing, and just like England’s World Cup campaign, equally short. After making just over 20 appearances in all competitions for Leeds, newly-appointed manager Peter Reid opted to decline the chance to sign Lucic permanently, with the Swede heading instead to Germany, where he turned out for Bayer Leverkusen. In 2005, he returned to Sweden to play for Hacken and then Elfsborg, before retiring in November last year, after a 19-year career – during which he picked up no fewer than 86 caps for his country. Dutchman Molenaar signed for Leeds in January 1997 for £1million, as George Graham attempted to bolster his side’s defence. The commanding centre back, who later earned the nickname ‘The Terminator’ due to his burly physique, initially impressed Whites fans – cementing a place in the Leeds defence for the rest of the 1996/97 season. A dip in form during the next campaign saw his chances diminish, before regaining a first team spot ahead of David Wetherall in 1998. After over 50 appearances, Molenaar, like Wetherall had done a year earlier, switched Leeds for Bradford in 2000, where he spent three years, before finishing his career back in the Netherlands with RBC Roosendaal in 2007. A product of the Real Madrid academy, 21-year-old Raul Bravo signed for Leeds on loan in January 2003. The left back, who was impressively playing second-fiddle to Roberto Carlos in Real’s star-studded team, was unimpressive during his time in Yorkshire – managing just five Premier League appearances in five months at Leeds. Just a year after his uninspiring spell with the Whites, Bravo found himself as Spain’s first-choice left back for their ultimately disappointing Euro 2004 campaign – still a stark contrast in fortunes for the Gandia-born defender. After ten years on Real’s books, Bravo signed for Olympiakos in 2007 where he spent an injury-plagued four years, before he was released in May this year. Now aged 30, he is without a club. One of the four Australians in Leeds United’s classic XI, McMaster began his career at the club alongside compatriots Mark Viduka and Harry Kewell. Far from making the same impact as the legendary duo though, McMaster spent the vast majority of his six years in Yorkshire either out on loan or languishing in the reserves. He was eventually let go by Kevin Blackwell in 2005 and, after making a handful of appearances at Chesterfield and Danish club AGF Aarhus, returned Down Under in 2006. He still plies his trade in his homeland – now with New South Wales Premier League holders Bonnyrigg White Eagles. 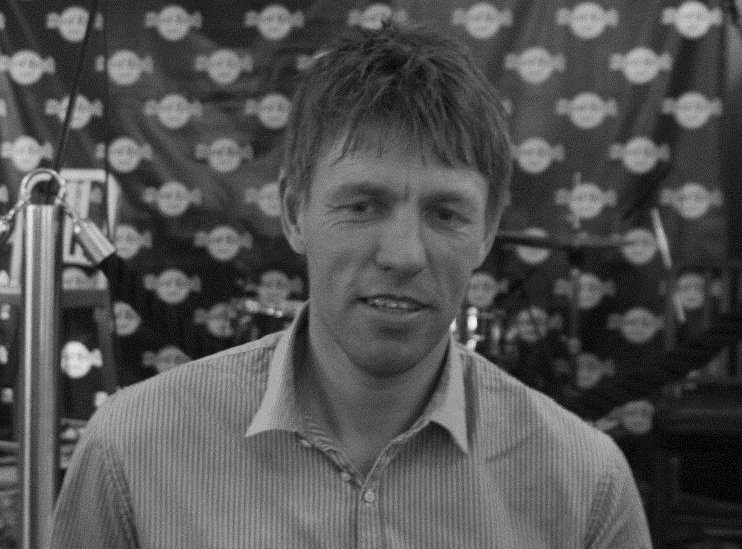 Burns’ performances in Australia with Parramatta Power persuaded David O’Leary to sign the 11-times capped international in 2000. Acting as back up in what was, at the time, one of the best squads in the country, Burns made only 6 league appearances in three years at Elland Road, as he failed to get in front of the likes of Harry Kewell, Eirik Bakke and Lee Bowyer in the pecking order. He had much more success at then-League One Barnsley, where he played 89 times in three seasons. After playing in eastern Europe with Wisla Krakow and Unirea Urziceni, he signed for Perth Glory where the 33-year-old still plays. The versatile Australian Paul Okon made his name in Belgium, where he impressed as sweeper in Club Brugge’s title win in 1996. Those performances caught the eye of Dino Zoff, who tempted him to Lazio with the promise of first team football at sweeper. However, after selling Roberto Di Matteo to Chelsea, Okon had to play in central midfield, which was not his preferred position – that combined with a succession of injuries meant he made just 19 appearances in three years for the Italian giants. After a spell at Fiorentina, Okon hoped to reignite his career with Middlesbrough and then Leeds, although he could not hold down a regular place at either side. He went on to Vicenza, Oostende and APOEL Nicosia but could not rediscover his form and hung his boots up in 2007 after a season with the Newcastle Jets. Capped 28 times by Australia, he went into coaching and most recently managed Gold Coast United. Ribeiro was signed by George Graham in 1997 as the Scottish manager tried to reverse the fortunes of the club who were fighting relegation when he took over. Portuguese winger Ribeiro was a key part of the Leeds side which finished 5th in the 1997-98 season, but lost his place in the side after picking up an injury at the start of the following campaign. Incoming manager David O’Leary didn’t fancy Ribeiro and sold him to Yorkshire neighbours Sheffield United in late 1999 for £500,000. After two years at Bramall Lane, Ribeiro returned to Portugal where he played for Beira-Mar, Santa Clara and Vitoria Setubal before retiring last year. He currently manages Setubal, and guided them to a 12th place finish in the Portuguese Liga last season. After a promising beginning to his career with Niort and Rennes, France’s most successful club, Olympique Marseille, were attracted to the French under-21 international. Unable to impress in L’OM first team, he was loaned out to a succession of clubs, one of whom was Leeds United. Chapuis was one of the eight players Peter Reid took on loan in 2003, and he, like the rest of the loanees, failed to impress. He played just once – against Bolton in November – before returning to his parent club. He scored only four times in 42 appearances for Marseille and left in 2005. After failing to win a contract after a trial at Rangers, he played for Grenoble and Metz but hasn’t had a club since 2007. Senegalese international Sakho joined Leeds as part of the octet of loanees brought in in 2003 as a last desperate attempt to save the club from capitulation. Compared to the others, Sakho was relatively successful, making 17 appearances before damaging his cruciate knee ligament, bringing a premature end to his spell. After spending the rest of the noughties with a number of low-key spells at top-flight French clubs, Sakho bizarrely ended up in Wales at Blue Square Premier side Wrexham in 2009, where he played 18 matches – in one of them the 57-times capped international missed this penalty.